Mother Nature may just be beginning to shake off the winter blues, but you only have to look 45 minutes to our south to see signs that spring is in the air. Beginning March 21, a coalition of arts enthusiasts in Lanesboro are inviting visitors from far and wide to join them for a two-weekend celebration of creativity, community, and the thawing of our hemisphere. With a full lineup of events, from an art crawl to the premier of the production, Bakersfield Mist, the Spring into Art Festival promises to be a one-of-a-kind, immersive arts experience. The first-ever festival is a collaboration between two civic-minded organizations, Commonweal Theatre and Lanesboro Arts, both of which have spent decades helping cultivate an arts culture in Lanesboro. “We try to integrate arts into the fabric of Lanesboro,” says Adam Wiltgen, program director for Lanesboro Arts. While there will be plenty of chances to witness and appreciate world-class art, there will also be opportunities for visitors to participate in the creative process. On Saturday, March 23, an Art Making Crawl will be held across eight different locations in downtown Lanesboro. The event is free, and all ages and abilities are welcome. The Commonweal Theatre in downtown Lanesboro. Later that same night, a collection of professional artists will compete in a fast-paced multi-round Canvas Clash painting competition at the Commonweal Theatre. That event is also free, though a donation is appreciated at the door. For 30 years, the Commonweal Theatre has been a staple of arts programming in Lanesboro. Nestled in the heart of the city’s downtown, Commonweal Theatre has been able to assemble a cast of talented artists time and time again to deliver live, professional theater to thousands of people annually. Altogether, they put on five shows each year, from classic to contemporary, with a total of 180 performances. This year, Sweeney and the team at Commonweal are rolling out a new series that will complement, not replace, the theater’s existing mainstage lineup. What has been dubbed the “Wealhouse” series will kick off Thursday, March 21 at the smaller St. Mane Theatre, located next door to the Commonweal. Husband-and-wife-duo Hal Cropp and Adrienne Sweeney will in the first installment of the new, edgier Wealhouse series at St. Mane Theatre. For the first installment in the Wealhouse series, Sweeney will be joined by her husband, Hal Cropp, for a production of Bakersfield Mist by Stephen Sachs. Sweeney says the idea of Wealhouse came out of a desire to share stories that may not be able to sustain a lengthy, 50-60 show run on the mainstage. “Wealhouse gives us an opportunity to showcase pieces that might be a little more challenging in tone or content, and a little more ‘edgy’ or contemporary,” says Sweeney. There will be eight different opportunities to take in Bakersfield Mist during the Spring to Art Festival. 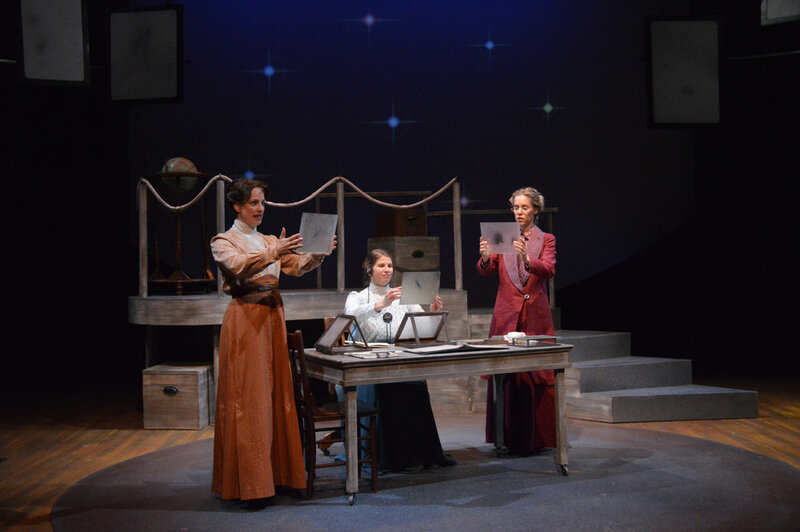 If it’s a play on words you are looking for, the Commweal’s apprentice class will also be putting on its capstone project, in a word, both weekends. Then, looking ahead, the Commonweal mainstage lineup begins Friday, April 5 with a production of Holmes and Watson. Once a frequent vacation spot for Buffalo Bill, Lanesboro is now known as the Bed and Breakfast Capital of Minnesota. The city, population 732, is situated within the bluffs of the Root River Valley — making it a popular destination for exploring the outdoors. "The town is so walkable, there’s arts integrated into different public spaces, and folks are just friendly, too,” shares Wiltgen. Fortunately for us, the short drive from Rochester to Lanesboro is as memorable as it is manageable. The serene pastures and open skies eventually give way to a sense of arrival so surreal that you know something magical is happening nearby. For Spring into Art, we are told many of the seasonal businesses will be opening up. 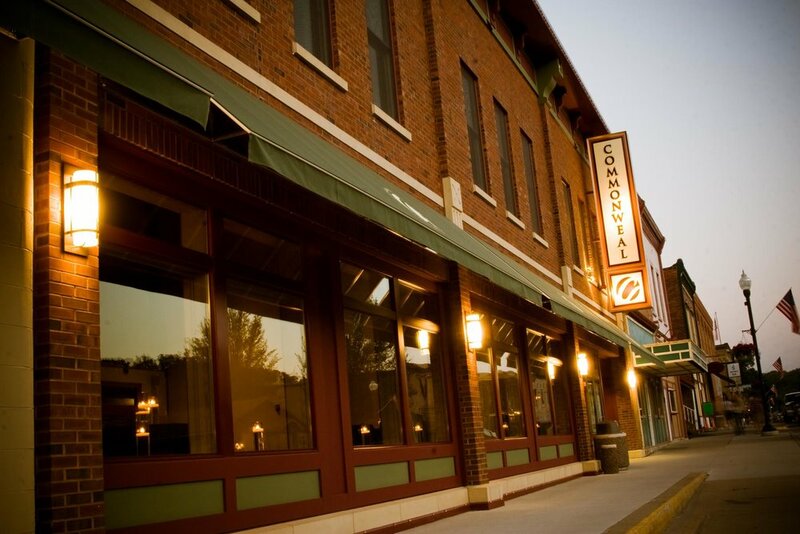 Before heading down, make sure to check out the Lanesboro Area Chamber of Commerce website and learn more about what this charming city has to offer for lodging, dining, shopping, and exploring.